Ever since Marty McFly gracefully evaded a group of futuristic cyber punks atop his equally space age hover board in Back to the Future Part II, we’ve harboured a desire to don a pair of high-top trainers and glide to work with friction-free folly atop a hover board here at Flat-Out. 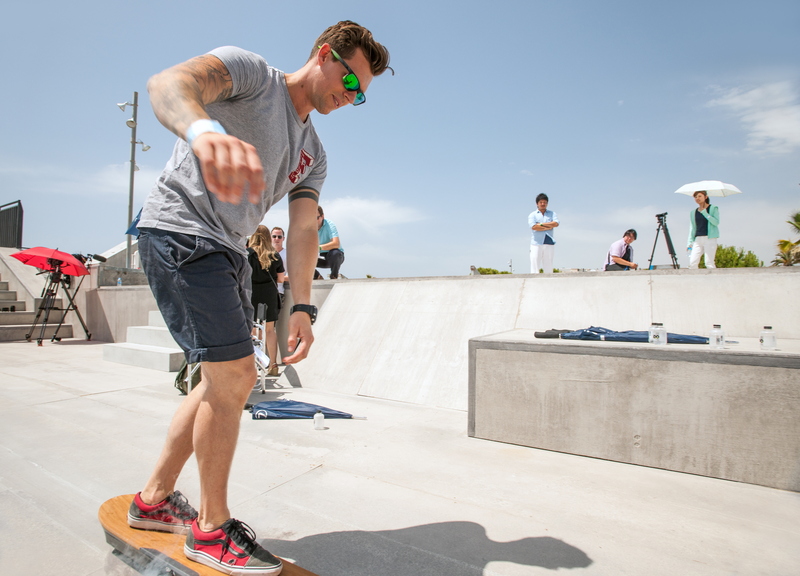 When Japanese carmaker, Lexus released a short film showing professional UK skateboarder Ross McGouran blasting around a skatepark in sunny Spain on what looks to be the most convincing hover board yet, we couldn’t help but board a plane and find out what was going on for ourselves. 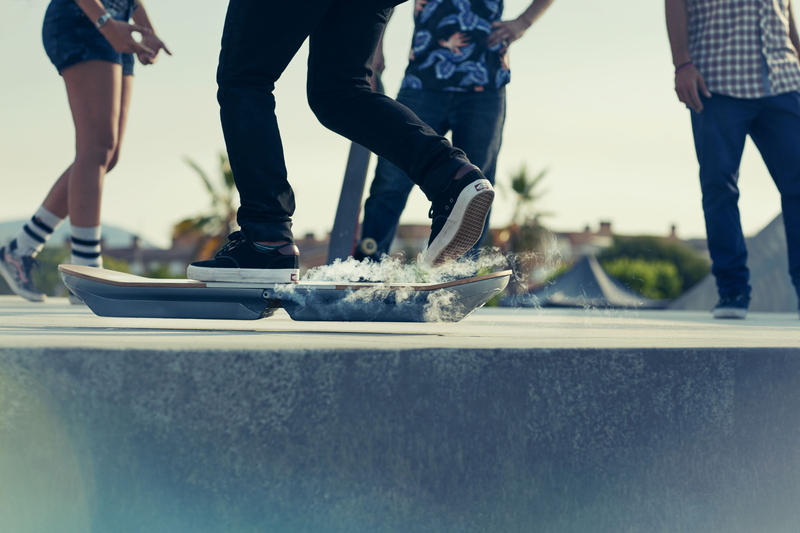 The video in question was titled ‘Lexus SLIDE’ and it depicted a beautifully styled board, complete with billowing dry ice, gracefully gliding along a skate park somewhere on the outskirts of Barcelona. Naturally, the gadget world began salivating when initial teaser clips and images first surfaced last year and the grapevine was rife with rumours about whether it was all CGI or if, in fact, Lexus had actually cracked the levitating code. We can confirm that is very real, as the first thing we spy upon arrival at the top secret filming location is a board mysteriously hovering two inches off the floor. But all isn’t quite what it seems. “The whole thing is an elaborate magic trick,” explains Henry Alex Rubin, the project’s artistic driving force and award-winning film director. “There is no CGI and there are no strings or ropes attached, but there are a few secrets behind how it all works,” he points out. Dr. Oliver de Haas from German engineering firm, Evico is the brains behind the project and he invites me to a makeshift tent at the rear of the film set to reveal the secrets of the Lexus hover board. “The first thing, I must admit, is that the skate park you see here is made of plywood and not concrete,” he sheepishly admits in this thick German accent. It turns out that the technology is similar to the magnetic levitation system used on the high-speed Japanese train network, where carriages use magnetic fields to hover above tracks, reducing friction and electricity consumption, and increasing speed. “The difference here is that our hover board doesn’t require electricity, nor does it have any moving parts,” explains Dr. de Haas. Here’s the really clever bit though: the Lexus hover board packs a Type 2 semi-conductor comprised of 32 cells made up of Yttrium, Barium, and Copper Oxide. If you were to dismantle the board it would look a bit like a chocolate bar. 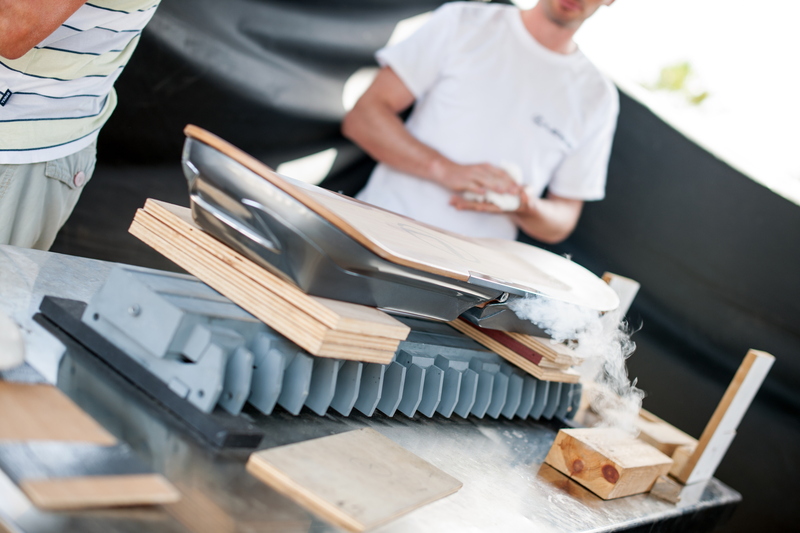 Before the Lexus-designed decks are able to go out on track, they are first ‘set-up’ by the engineers, a process that involves holding the deck above a small section of magnetic track and then pouring liquid nitrogen into the holes at the side of the board. 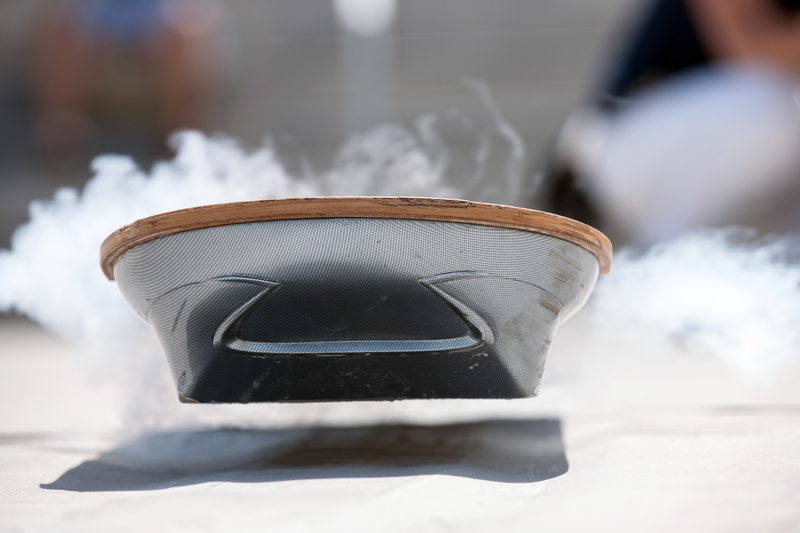 In basic scientific terms, this process ‘freezes’ the magnetic field into the semi-conductor and allows the board to grip it and hover above the surface of the track. If you thought the engineering feat was impressive, wait until you meet the guy who was tasked with wrangling the thing around the purpose-built park. His name is Ross McGouran and he’s a professional rider for the Vans European skate team. Ross is nursing a busted ankle when we meet him, which is testament to just how hard he pushed the technology, all in the name of Marty McFly rad-ness. This confirms to us that the Nike high-tops may have to remain in their box for a few more years, at least until Lexus launches something that won’t break our legs.